A late flight back Thursday and a quick pit stop at a fast food emporium. Friday after work I settled down to finish off my alpaca spinning. 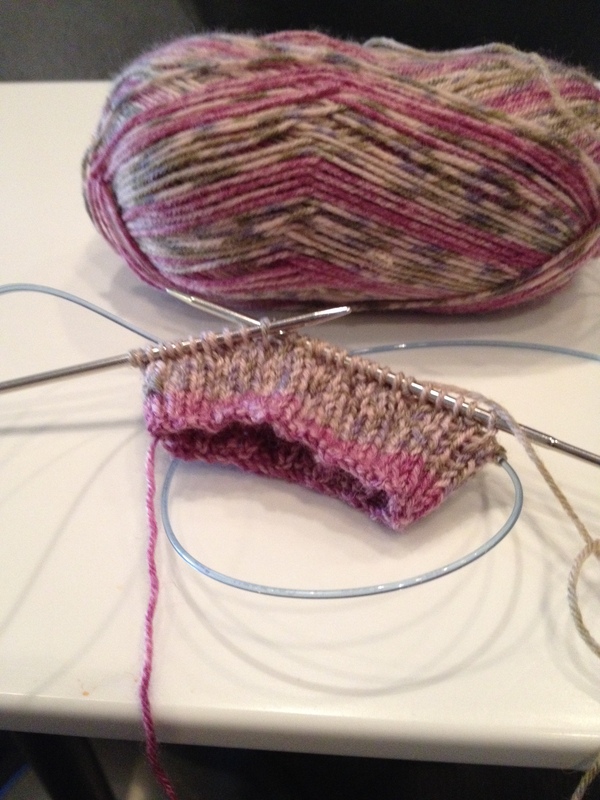 Still not quite got the hang of plying. its either too tight or too lose. Ah well, practise practise practise! Saturday I spun up the mystery batt of the month that had arrived. It was called Aurora Borealis and it was really pretty, a mix of many different fibers but it spun up very nicely. 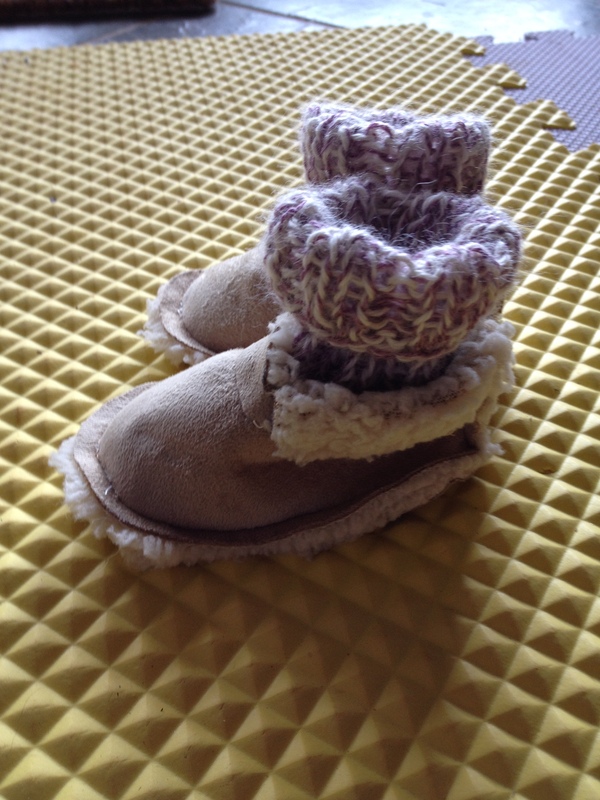 I decided to make some little boots for a friends baby daughter – the suede is a kit but then I knitted the tops in alpaca and stitiched it into them. 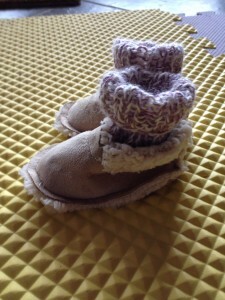 Very soft, warm and cute. 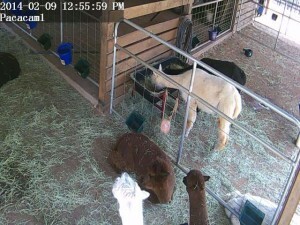 Mr Rob was very busy as well — he has installed a web cam in the barn, so now i can check in on my little darlings any time I want to. I can move the camera around from either my PC or my phone so I can see what they are up to. Sunday I had to leave for work a day early but in order to myself buy on the flight I have started off another pair of socks. 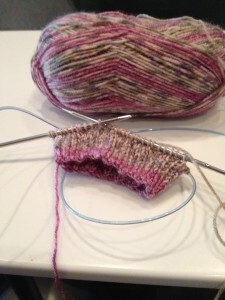 I love knitting them and they are so easy to carry around. This entry was posted in Uncategorized on February 9, 2014 by Miss Lynne.